Here’s a surprising fact – an estimated 16,000 feral cats live in Walton County. They roam in wooded lots, behind shopping centers, restaurants and abandoned houses. You may not see them during the day because they’re adept at avoiding humans, but they can seen at night cruising their territory. Feral cats offer great rodent protection – even Disneyland has recognized their value and has their own authorized pack of feral cats to keep the mouse population in check! These cats belong to no one, but they pose a unique challenge for everyone. The females can breed several times each year and produce six kittens or more in each litter, causing the population to skyrocket. Ignoring the problem isn’t an option. Walton Animal Guild has joined with Paradox Spay Neuter Clinic, Save Our Strays, and volunteers in the Monroe Community Cat Project – a targeted spay/neuter initiative to reduce the feral cat population in downtown Monroe. Feral cats are trapped, sterilized, given a rabies vaccine and ear-tipped to mark their sterilized status. Some are able to be socialized and made available for adoption, others are returned to their home area to live out their lives. More than 45 cats have been sterilized since the project began in early summer and we hope to double that figure. 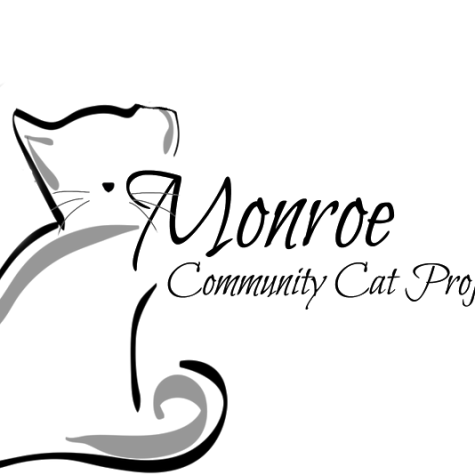 We’re also actively looking for additional feral cat colonies in the city limits of Monroe that need to be spayed/neutered. If you’re a cat caretaker, let us help keep the cats healthy by sterilizing and vaccinating them. No animals are turned over the Animal Control – all are released or adopted into homes. But funding is a critical component of this initiative. A few fundraising efforts are currently underway, including a silent auction scheduled for October 16, 2016 , 6 – 9 p.m. at the Cotton Cafe, 136 N. Broad St., Monroe, GA. Entertainment will be provided by the Georgia Walton Music Dept. Auction items include a one-week Florida vacation, UGA football tickets, and four tickets to the The Band Perry and a post-concert meet and greet, along with lots of other great items! There’s also a 50/50 raffle – tickets are $20 and can be purchased at Paradox Spay Neuter Clinic. These “community cats” need the community’s support. Help us make a difference! For more information about the project, silent auction or raffle, email monroeccp@gmail.com. Or check out the Facebook page at www.facebook.com/monroeccp. Four tickets to The Band Perry concert, post-concert meet and greet.